Get into the fast lane when you purchase a pre-owned INFINITI or other popular model at INFINITI of Northern Kentucky! We are confident our used inventory will turn heads at every Cincinnati, OH corner, combining safety, reliability, and style into one complete package. Plus, when you buy used, you’ll receive like-new technology and connectivity features at a price that won’t break the bank. Test drive today at INFINITI of Northern Kentucky to see why purchasing pre-owned is a great choice for your daily drive through Florence! Why Buy Used from INFINITI of Northern Kentucky? 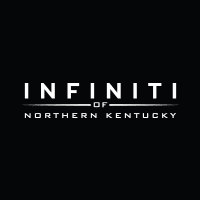 INFINITI of Northern Kentucky proudly serves the Louisville INFINITI community and beyond, offering exceptional service and affordable prices to help you get the car you deserve. We love giving back to our Newport neighbors and we aim to make customers for life, which why go above and beyond to offer you a friendly, stress-free car buying experience. We fully inspect all our used cars for sale to ensure you receive a car that is safe, and our certified INFINITI service department will keep it running strong for years to come. Learn about what's covered when you drive a certified pre-owned INFINITI, then visit our showroom today; we can’t wait to work with you!